You may be surprised to learn that the Chinese medicine way of eating for weight loss is totally different from the Western concept! Instead of focusing on eating foods that are low-calorie, take more calories to digest, or help build metabolically active muscle tissue, the Eastern way to eat for health is to rebalance the body and boost its energy levels. In other words, one eats to “gain energy, lose weight.” Thankfully, with this approach, one doesn’t have to count calories! The eating-for-healing perspective is a revolutionary yet also time-tested framework with which to view eating for weight loss using an entirely different understanding of why people gain weight in the first place. Due to stress, hectic lifestyles, and informational overload, as well as poor dietary habits, people often expend more energy than their bodies are capable of generating on a daily basis. These “energy drains,” over time, can affect the body’s balance. Why is this? You need adequate levels of Qi to power all your vital systems and organs, to fuel your daily activities, mental processes and emotions, and to maintain the delicate homeostatic balance that your body requires for optimal functioning, a dynamic yet stable equilibrium that normally responds readily to stressors such as energy drains. When you have chronically low energy levels, this homeostasis is thrown off, leading to compromised organ function and an imbalanced body, as well as weight gain. To properly digest and convert food into Qi or energy your body can use, all of your organs have to be in balance and working efficiently which requires adequate energy levels in the first place! A person with a healthy digestive system will convert most, if not all, of his food into energy. 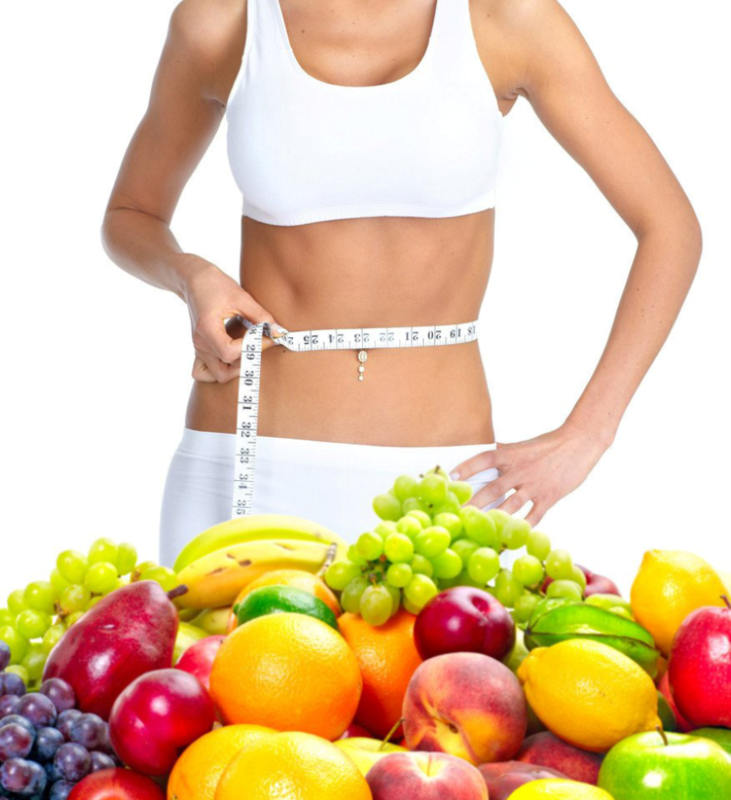 But a person whose organs are out of balance and has low energy due to constant energy drains, will gain weight. It’s the famous equation E=mc2 revisited – this famous quantum equation applies not just to the universe but also the human body, since the body follows the principles of natural law. Energy and mass are always conserved, so which side of the equation does your body fall on? Energy or mass, which one do you have more of? More mass – or more energy? When you eat food, it all has to go somewhere. Either it is stored up as mass – or it is stored up as Qi. Weight gain is but one symptom of low energy levels from chronic energy drains and an imbalanced body. Many other chronic health issues can result from these underlying issues. When you rebalance the body, stop energy drains, and increase your energy levels, you’ll not only naturally shed pounds and achieve a healthy weight, but also fix a host of other health conditions that you may be experiencing. Eat to stop energy drains! By simply getting rid of unhealthy dietary habits that produce “energy drains,” you’ll save ever so much Qi that can be used for proper digestive processes, as well as repairing and maintaining your digestive system’s good functioning. Skipping breakfast, eating late at night after 7pm, eating until you’re stuffed at meals, and eating cold, raw foods such as salads or iced drinks, are all example of dietary habits that produce energy drains on your body. These habits over-stress and eventually cause imbalance to your body’s organs, so you’ll end up using more Qi to recuperate and rebalance your body. Do yourself a huge favor and stop these “energy leaks” by changing these habits! Eat to recuperate from the effects of energy drains and rebalance your body’s major organs that are responsible for healthy digestion and energy production. Eating foods that have specific energetic properties for healing the Stomach, Spleen, Liver, and Kidney will go a long way to restoring balance to these crucial organs, counteracting the effects of energy drains and stress. Once your major digestive organs, i.e. the Stomach, Spleen, and Liver, are in good form, you’ll naturally be able to transform your food into Qi much more efficiently, increasing your energy levels. The Kidney is the powerhouse of the body, acting as the reserve of energy for all your organs when they need a “backup generator.” When you eat foods for your Kidney, you will boost your overall energy foundation and help all the other organs work more efficiently. 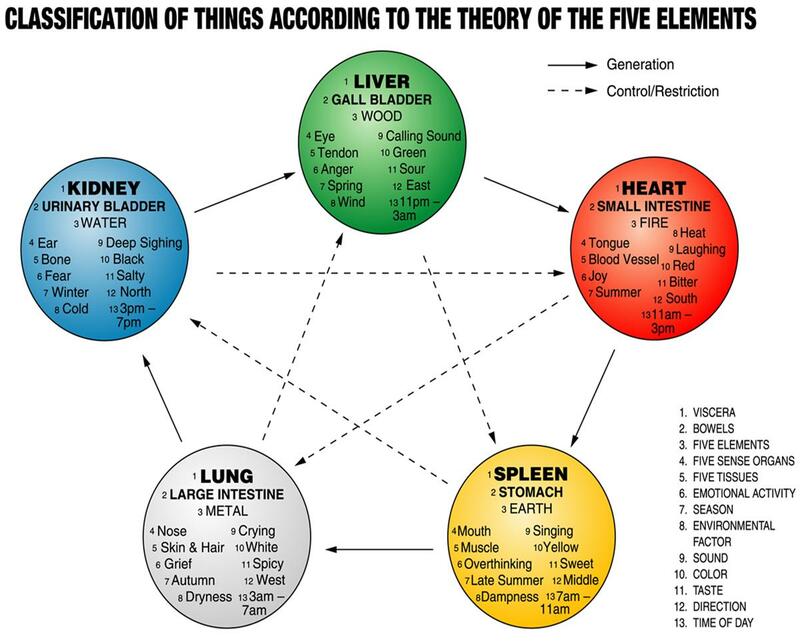 According to Five Element Theory, a pattern of energetic interrelationships in Chinese medicine, shows us how our bodies correspond to nature. Foods that are yellow, have a sweet taste, or are root vegetables that grow directly in the earth are generally considered most beneficial for the Stomach and the Spleen. 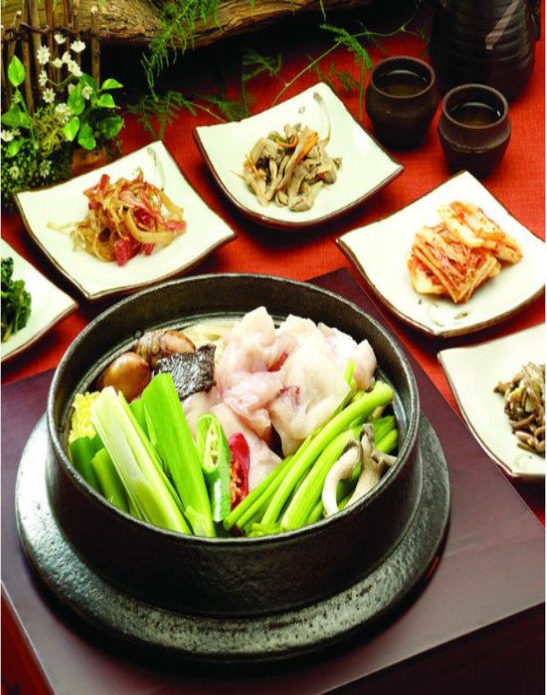 Black foods, salty foods, and foods that grow in water (seafood) are most beneficial for the Kidney; the Liver organ, also crucial for digestive function because of its important role of helping the Stomach and Spleen do their job of digesting and transforming food, is most benefited by the taste of sour, as well as green foods and leafy foods. The Liver also plays an important role in stopping energy drains – when this digestive organ is functioning well, your body is better equipped to handle stress, as it is the organ that is most affected by stress and emotions. Once all of these organs are working well and are back in balance, your metabolism will become more efficient and help to transform your food into energy you can use for further healing and daily activities. Not to mention that you’ll feel more energized, be able to eat anything you want, as well as resolve other chronic health issues! For more information on how to eat for healing for a healthy weight the Chinese medicine way, visit www.tcmworld.org/dragonsway to learn about TCM World Foundation’s popular weight loss and healthy metabolism program, The Dragon’s Way®. You can also order Dr. Nan Lu’s best-selling book on Chinese medicine and weight loss: Traditional Chinese medicine: A Natural Guide To Weight Loss That Lasts. This entry was posted in Food as Medicine, Quantum Healing with Dr. Lu. Bookmark the permalink.